There's more to being vegan than eating your greens... A plant-based diet is the foundation of a vegan lifestyle, but you can do so much more to incorporate a cruelty-free approach into everyday life. Vegan Life highlights the simple, achievable ways you can show kindness to animals - and to the environment - not just with your choice of food but with the household products, clothing and cosmetics you buy too. 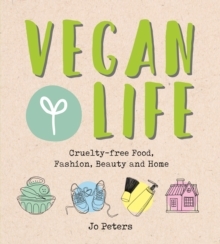 With tips on how to reliably spot vegan goods when shopping, DIY ideas for making your own organic cosmetic and cleaning products and, of course, essential recipes for delicious vegan food, this book makes it easy to live more ethically.